We all want to see our kids have happy and fun filled childhoods, and it’s even better when they’re learning important life skills at the same time. That’s why it’s great to have sons or daughters who participate in sports, as not only do we get to be a proud mom or dad cheering them on, but we also know that a fit and healthy child is likely to turn into a fit and healthy adult. Holidays and birthdays are a perfect time to encourage their love of sports by buying them gifts that open up a fun new activity, and here are three presents that are sure to be welcome. Is there any item of clothing that’s cooler than a pair of high-quality roller skates? They not only look great, they allow the wearer to explore a whole new set of fun activities, from skating in the school playground or at special skate parks, or taking part in competitive events such as roller derbies or skating competitions. It makes sense to buy skates from the leading manufacturers such as Riedell roller skates, as their skates are highly fashionable and are designed with durability and safety in mind, providing support and structure where it’s needed most. Soccer is the world’s favorite sport, and it’s also the fastest growing sport in the United States, with a study showing that it has now overtaken ice hockey in popularity and is the second most popular sport nationwide among young adults. Soccer is a great sport to get your kids interested in for three reasons: firstly, it’s a sport that both boys and girls enjoy and can play together; secondly, it involves a lot of running and so provides a great form of exercise; thirdly, it is a very inexpensive sport to be involved in. All you need to buy are soccer boots, a ball, shorts and a t-shirt and your children are ready to go, and they can play it anywhere from their own back yard to specially designed soccer pitches. If you think golf is a sport for retired folk, you can think again. 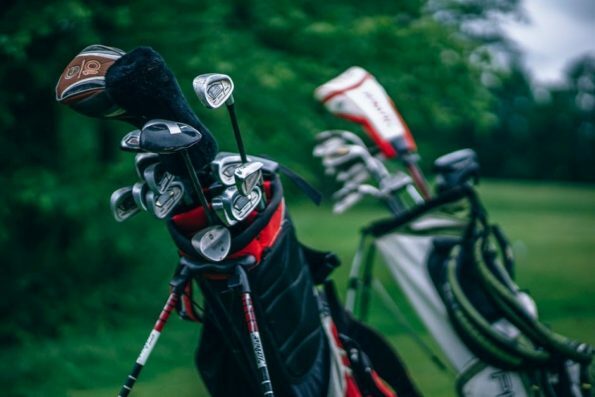 Across the country more and more children are taking part in golf, and having your kids join that rank can be as simple as buying them a set of junior sized golf clubs. Exciting young players such as Jordan Spieth are now dominating the golf majors, and that can be inspiring to younger players. It’s also a sport that children and parents can play together, and it can encourage a sense of fair play and sportsmanship. A nine hole round of golf can also burn more than 700 calories, so it’s a good form of exercise as well. Roller skating, soccer and golf are all very different sports, but they all have a lot to offer sports loving children. Other great sports to consider include swimming, tennis and cycling. They’re non or low-contact sports, exciting to participate in, and they provide a great way for your child to get fit and stay fit. They’ll be having so much fun, they won’t even know that they’re exercising.